Delicious Junction 'Afterglow' Men's 1960s Mod corded suede shoes in brown. 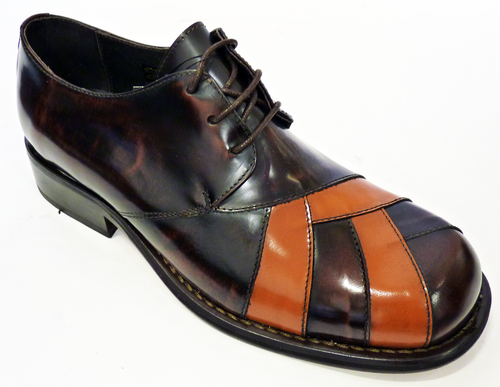 Classic Retro centre seam detail, contrast stitch and finished with smooth leather trim. The return of a classic, the 'Afterglow' is a unique Retro footwear staple, and any shoes named after a Small Faces track must be worth a look! 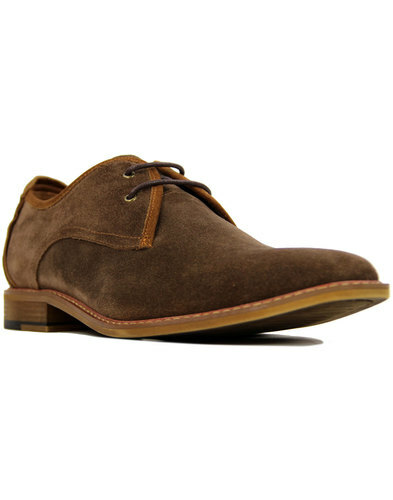 'Afterglow' corded suede shoes from Delicious Junction are sure to add a dashing edge to your casual Mod ensemble. 'People who once passed you by, will turn their heads 'round'... well we had to get some lyrics to Afterglow in somewhere! 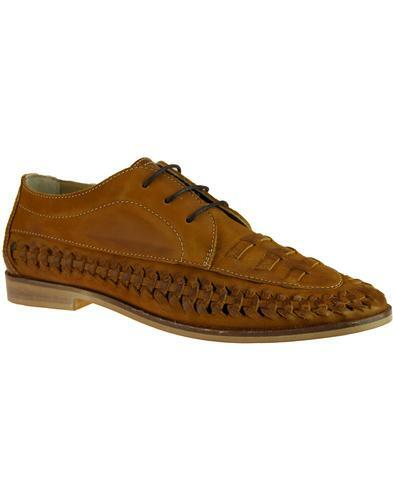 - Delicious Junction 'Afterglow' men's 1960s mod corded suede shoes in brown. - Retro centre seam detail. - 3 eyelet lace fastening. 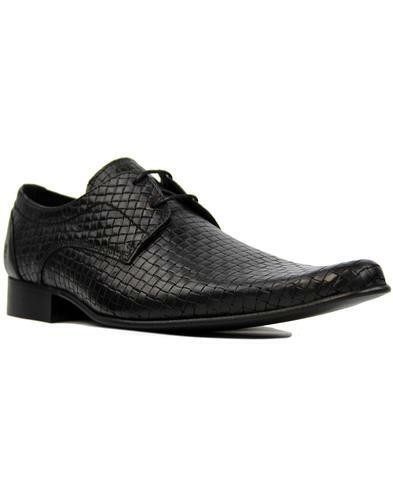 - Smooth leather contrast trims. - SKU: Afterglow Corded sude shoes. 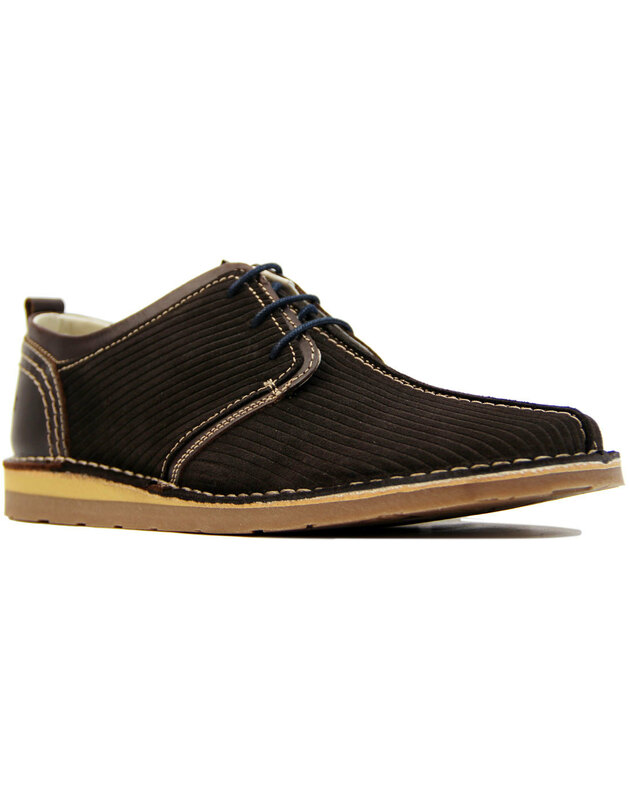 Composition: Suede upper, leather inner, other outsole.